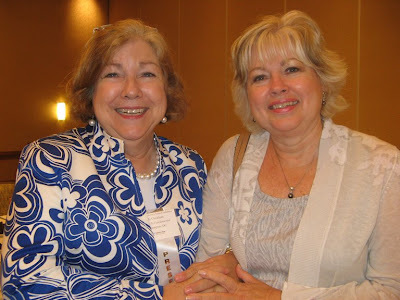 How Writing About Terrible Things Makes Your Reader a Better Person by Donna Jo Napoli from The Official SCBWI Conference Blog. 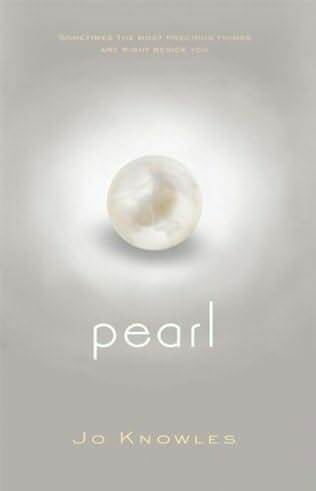 Peek: "'Characters who are hopeful and hold onto their dignity show readers a way to live decently in their world--even if it's only inside their heads,' she says. 'These books are of crucial importance to the unprotected child.' It's even more important for the protected child...." See the rest of the conference coverage. See also 6 Social Media Steps to Take After a Conference or Big Event by Greg Pincus from The Happy Accident. Ladies, Don't Let Anyone Tell You That You Or Your Female Protagonist Isn't Awesome by Sarah Rees Brennan from Sarah Tells Tales. Peek: "Talking about girls in this way is not useful. It just helps along the mindset that girls can't be awesome, the lie all girls get told, whispered in their ears over and over again, all through their lives." See also Ladies, Ladies, Ladies from Holly Black. Superheroes for All: African-American Comic Book Artists Push the Envelope by Ann Brown from The Network Journal. Peek: "African-Americans in the comics industry may be a rare concept, but they are making more than a little noise. In fact, while their contributions may go unnoticed by the general public, they have helped changed the face of the field.
" Source: Bowllan's Blog at SLJ. How to Celebrate Book Week 2011: One World, Many Stories from Aug. 20 to Aug. 26 in Australia from The Book Chook. Peek: "This is a great theme to introduce your children to literature from other cultures. I thought I'd help you get organized ahead this year, so you can plunder the library and plan your celebrations!" Stephanie Brown's Intrinsic Importance to the Bat-verse by J.L. Bell from Oz and Ends. Peek: "Both within the fictional DC Universe and within the fan culture around that universe, Stephanie Brown came to symbolize someone who wasn’t getting any breaks." I (Won't Let Myself) Get Satisfaction by Michelle Ray from EMU's Debuts. Peek: "Being published has been one of the best things in my life, yet it's fraught with emotional challenges." How Does Your Story Sound? by Cambria Dillon from Adventures in Children's Publishing. Peek: "My point is that you have to consider how your words sound when someone else reads them aloud. Someone else who isn't trying to dissect your dialogue for awkwardness or scoff because you used 'blaze' when 'inferno' would've been a better choice." Relationships Focus Characters by Darcy Pattison from Fiction Notes. Peek: "Asking about relationship seems easier to me than asking about how to characterize. It’s interactive, as one character does something, the other must respond. If I can find a central thing around which I can center conflict and reveal character with that, it will work." Author Interview: Amy Lim from Asia in the Heart, World on the Mind. Peek: "I would say any children's literature generated locally would constitute Singapore children's literature for me.... 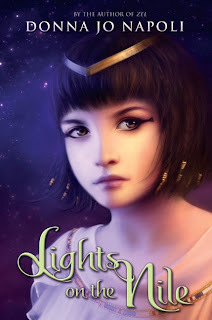 There have been recent strides in terms of support, with the First Time Writers and Illustrators Initiative doing a great job in kickstarting several of us into the realm of published writers." Thoughts from Picture Book Peeks: The Picture Book Pitch by Jean Reidy from A Totally Random Romp. Peek: "...a one-sentence summary is just as important for picture books. Why?" How Big is the Writing Community? by Shelli Cornelison from Shelli's Soliloquy. Peek: "The next time I hear a writer talk about the 'community' I think it will have a much deeper meaning for me. I never really took the time to sit and ponder the awesomeness of it before." The Art of Revision: Micro Revising by R.L. LaFevers from Shrinking Violet Promotions. Peek: "Micro revision is all about the scene. Is the scene—the building block of my novel—working? Is it carrying its weight? Has it earned its place in the story?" Bookish Ways in Math and Science: a blog about integrating children's literature in elementary math and science from Tricia of The Miss Rumphius Effect Fame. Publishing Gives Hints of Revival, Data Shows by Julie Bosman from The New York Times. Peek: "Juvenile books, which include the current young-adult craze for paranormal and dystopian fiction, grew 6.6 percent over three years." Note: hug a paranormal/dystopian writer. Source: Gwenda Bond. Books-A-Million to Replace Borders in Sumpter, South Carolina from Business Wire. Peek: "The Company presently operates 231 stores in 23 states and the District of Columbia. The Company operates large superstores under the names Books-A-Million and Books & Co. and traditional bookstores operating under the names Bookland and Books-A-Million." Picture Book to Novel Checklist by Kathy Temean from Writing and Illustrating. Peek: "Ask these questions after your first draft and each revision draft. You should be using this list many times before submitting your manuscript to an editor or agent. The most often mistake writers make is to send their writting in too early." Figuring Out Your Strengths and Weaknesses by Danyelle Leafty from QueryTrackerblog.net. Peek: "...how do you discover what you need to work on and what you're good at, but could amp up?" Behind Jo Knowles' Pearl by Gordon West from Kirkus Reviews. Peek: "When someone you love dies unexpectedly, there are naturally many regrets and questions. I think there’s a natural progression of uncovering things you didn’t know about the person as you strive to make sense of his or her life." See also the "deleted scene" from the interview from Jo. Do It Yourself: Making a Book Trailer by Christine Norris from Kathy Temean at Writing and Illustrating. Peek: "I spent about four hours of my time (most of that listening to music tracks and rearranging slides) and zero dollars to put this trailer together. And hey, if I can do it, you can too!" Don't Feel Guilty About "Playing" Around Online from Jane Friedman. Peek: "If your play is building stronger connections to other people, opening your mind up to new possibilities, spreading the word about what you do, or helping you understand things about yourself and your writing, then continue to play." The First Filipino Reader Conference is scheduled from 1 p.m. to 6 p.m. Sept. 14 at the SMX Mall of Asia (Metro Manila, Philippines), Meeting Room 2. See more information from Asia in the Heart, World on the Mind. 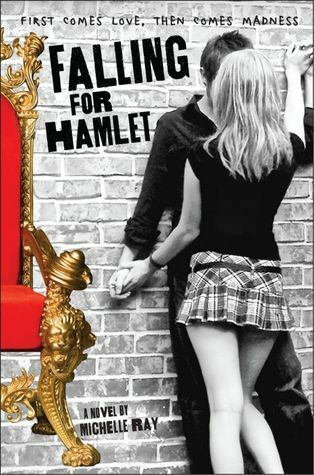 FuseNews: a youth literature new round-up by Elizabeth Bird at A Fuse #8 Production from School Library Journal. Peek: "Cynsations is created by author Cynthia Leitich Smith, and is so exhaustive that I wonder how she has time to write her YA fiction." Note: thanks for the shout out! 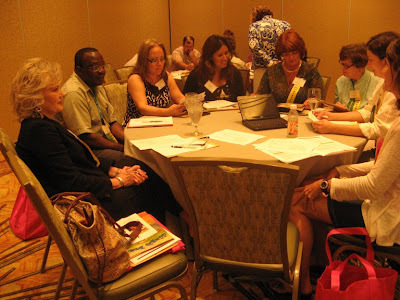 The second annual summer WriteOnCon is a 100 percent free, interactive online Writer’s Conference, scheduled Aug. 16 to Aug. 18. Peek: "WriteOnCon is also not exclusive to kidlit writers. In order to stay organized, the curriculum is focused on picture book, middle grade, and young adult writers. However, much of the information provided applies to all writers, and many of the publishing professionals who participate cross over." Check out the faculty. 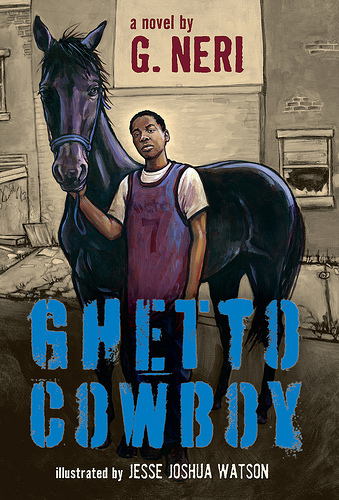 Enter to win a signed copy of Ghetto Cowboy by G. Neri (Candlewick, 2011)! To enter, comment at this link or email me and type "Ghetto Cowboy" in the subject line. Extra entry if you share your best close encounter with a horse or a true life event that inspired you to write about it. Author sponsored; U.S./Canada entries only. Deadline: midnight CST Aug. 22. 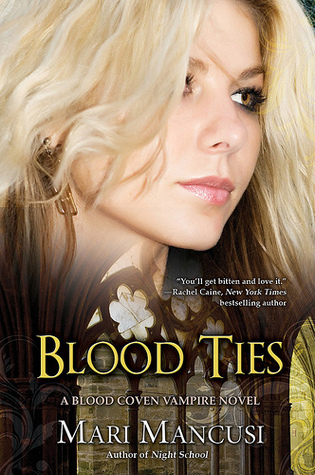 Enter to win an autographed copy of Blood Ties, book 6 of the Blood Coven Vampires series by Mari Mancusi, newly released by Penguin. To enter, comment on this post and include an email address (formatted like: cynthia at cynthialeitichsmith dot com) or a link to an email address. Or you can email me directly with "Blood Ties" in the subject line. Author-sponsored. Eligibility: U.S./Canada entries only. Deadline: midnight CST Aug. 13. The winner of an author-signed bookmark and copy of Bumped by Megan McCafferty (HarperTeen, 2011) was Ashley in Ohio. Congratulations to Ashley! Thanks to Megan and all who entered! Superintendent C.J. Huff explains some of the ways you can get involved in helping students and teachers in Joplin, Missouri following the tornado. See more information from Caroline Starr Rose. Check out this book trailer for The Poisoned House: A Ghost Story by Michael Ford (Albert Whitman, Sept. 2011). See also Victorian YA: Teen Heroines Kicking Down the Pedestal by Michelle in Marketing from Boxcars, Books, and a Blog: Albert Whitman Co. Revenge is Best Served Loud by Vicky Smith from Kirkus Reviews. Peek: YA author Lara Zielin and Kirkus punch, counter-punch, and walk away friends. See also Editing Letter. 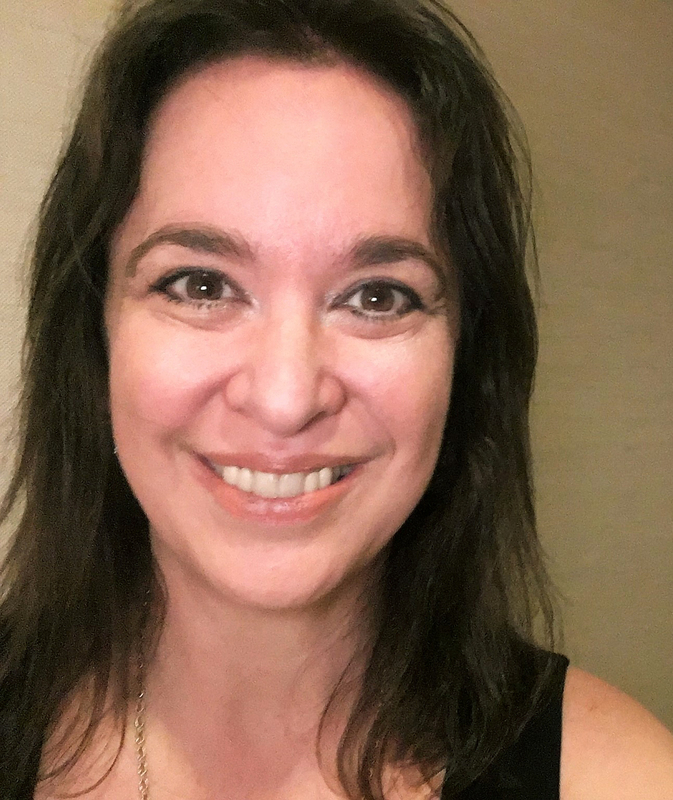 How to Get the Most Out of a Manuscript Critique: an Interview with Agent Jill Corcoran from Lee Wind at the Official SCBWI Conference Blog. About 20 Austin children's-YA writers and illustrators gathered Aug. 5 at Rounders Pizzeria in Austin to celebrate Sean Petrie, who graduated this summer with an MFA in Writing for Children and Young Adults from Vermont College of Fine Arts. (Yes, that's Frankie and Sammy in the background.) Photos courtesy of Bethany Hegedus. Sean shows off his graduation gift from Christy Stallop. YA authors Mari Mancusi and Varian Johnson, who's also a VCFA grad. Author & VCFA grad Lindsey Lane with semester 1 student Elizabeth White. Rounders Pizzeria pepperoni & mushroom. Highlights of the week included 2011 Literacy Texas Annual Conference, which took place Aug. 8 and Aug. 9 at the Austin Westin at the Domain. Friendly faces included library & literacy goddess Jen Bigheart. I presented a workshop with the dynamic and inspiring Judy Blankenship Cheatham, vice president, Literacy Services, for Reading Is Fundamental. Judy is shown here with Debbie Johnson, executive director of Literacy Texas. In our session, Judy talked about using Jingle Dancer to build literacy. 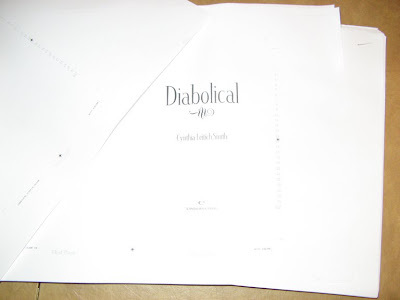 On the creative front, I received my first pass pages for Diabolical. YA Novel Tantalize: Adapted to Graphic Novel from New POV by Zack Smith from Newsarama. An Interview with author Cynthia Leitich Smith and illustrator Ming Doyle. 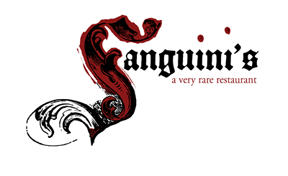 Peek from Ming: "...one of the things I liked most of Tantalize on my first read through was how much it reminded me of a Holmesian adventure, with a healthy and intriguing dose of the mythical and bizarre thrown in for good measure." 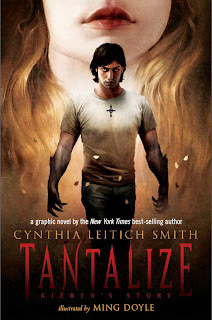 Book Review: Tantalize (the prose novel) by Cynthia Leitich Smith from The Obscure Vixen. Peek: "Huge kudos to Cynthia Leitich Smith for giving me the refreshing, amazing read that I needed! This story takes off at the first page, and just keeps going. It has everything: romance, deceit, suspense, vampires and werewolves..." Note: 5 out of 5 stars! 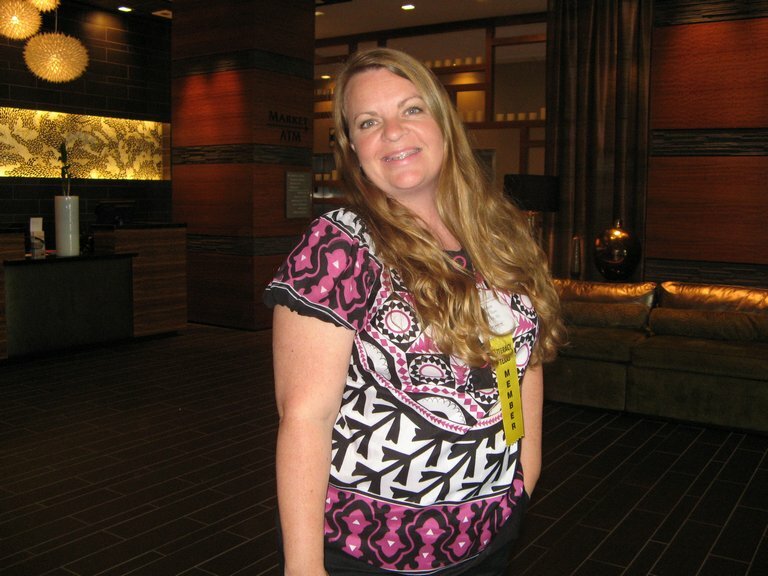 Find Cyn: Author Site; Blogger; Facebook; Google Plus, JacketFlap; LiveJournal; Twitter; YouTube. Attention, Houstonians! 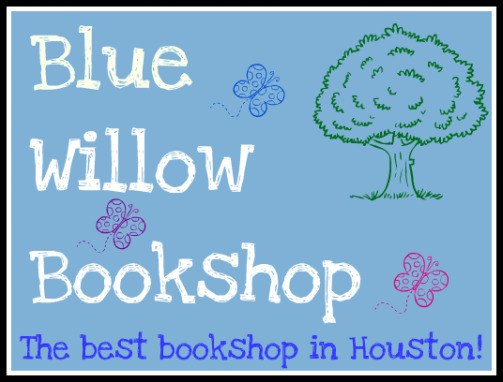 Please join Cynthia Leitich Smith for a discussion and signing of Tantalize: Kieren's Story (Candlewick, 2011) at 7 p.m. Sept. 22 at Blue Willow Bookshop in Houston. Note: "This event is free and open to the public. In order to go through the signing line and meet Cynthia Leitich Smith for book personalization, you must purchase Tantalize: Kieren’s Story from Blue Willow Bookshop. 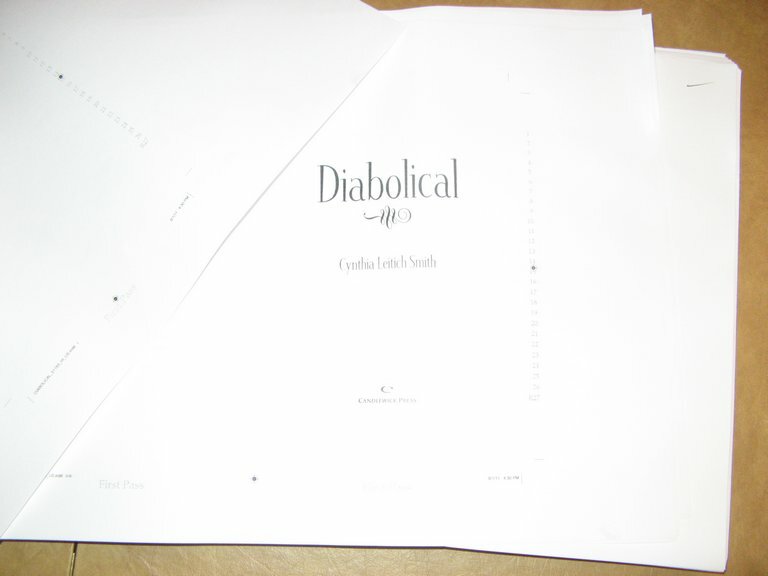 A limited number of autographed copies of Cynthia’s books will be available for purchase after the event. 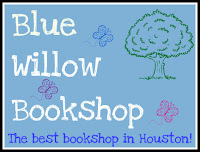 If you cannot attend the event, but would like a personalized copy of her book, please call Blue Willow before the event at 281.497.8675." Deirdra, thank you for the award! I'm honored, and I plan to share the news on Friday here at Cynsations. I'm so glad you enjoy the blog!